You may have heard of co-washing. It has simplified the beauty routines of many curl girls in the natural hair world. If you haven’t heard of it, let us fill you in! Co-wash stands for taking a conditioner only approach and completely eliminating shampoo as your method of cleansing. Sounds simple enough, right? Don’t let the simple idea fool you. There are still some things you should know before you toss the shampoo in the trash. Read on for more information on how to co-wash your hair. For curly hair, washing can be a pain. It takes a lot of time and effort to wash and dry your hair, especially if you have a lot to work with. It’s a fine line between washing the right amount and washing too often. Over washing dries out curls and dryness is the enemy of every curlfriend. How does this relate to co-washing? Most shampoos that contain sulfates strip hair of their natural moisture which makes it dry and unhealthy. A conditioner only method still gets hair clean without damaging hair. 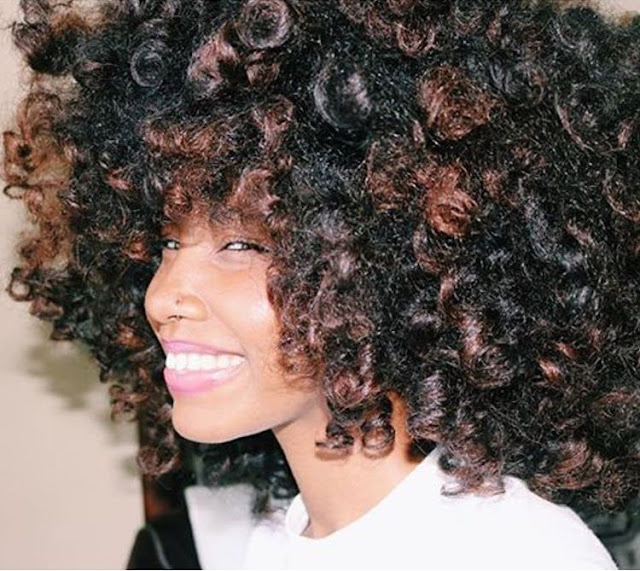 Women with naturally curly hair are prime candidates for co-washing because it helps keep natural moisture locked in. If you decided that co-washing might work for you, be sure to take the proper steps before starting. The first step is to decide which products might work best for your hair. You could just use the conditioner you already have on hand to start your co-washing routine. Just be sure that your conditioner isn't too heavy and has enough surfactants to cleanse your scalp. Some of my favorites are Tresemme Naturals Moisturizing conditioner and SheaMoisture Coconut and Hibiscus Curl Shine conditioner. Most conditioners have the power to cleanse already in them. If you are interested in a specialized cleaning conditioner, there are lots to choose from which may offer more cleansing power ideal for thicker hair. Check out As I Am and Curl Junkie products, two popular choices in curly hair. Word of caution, stay away from sulfates because they will dry out your hair! You should also stay away from products with a lot of silicones because they can weigh down hair and even flatten out curls. Try to find natural ingredients for a clean you can feel good about. Another important part of learning how to co-wash your hair is knowing how often you should wash. This really depends on your overall hair and how it responds to the products you choose to use. Pay attention to the way your hair feels and looks as an indicator of whether you should co-wash more or less. If hair is becoming too oily or mushy, reduce the frequency of co-washing and see if that helps. If you're going to co-wash regularly, don't forget to use a clarifying shampoo once a month to remove any excess buildup of residue or oil. Once you have figured out which products work best for you and how often to wash, the rest is up to you! Hair is a matter of preference. Some like the just washed feeling all the time while others prefer the second day hair look. Whatever you decide, co-washing is a great option to make the routine a little easier and save money on shampoo!